The summer holidays are upon us and we need inspiration! Here are 50 thrifty ideas for the school summer holidays. Please add yours too in the comments below and let’s have some fun whilst saving our pennies! Make a budget so you know exactly how much you have to spend over the holidays and stick to it! Ensure the toys you do have are still right for your kids. If they have outgrown them get rid you want them to really WANT to play with the toys they have. Make all their playthings accessible, check they have batteries and are in working order. Mend broken boxes and get rid of broken or incomplete toys. Doing these basic things will encourage hours more happy playtime. Make sure there is space for the children to craft and play and to leave their toys set out for the next day.Playing with toys they have is the thriftiest of options, it’s our job to facilitate this. Check your mindset. Don’t try and keeps up with the Jones, so what if they are off to Florida for the fifteenth time, you have play ideas galore that will last ALL summer long. Have a plan and a diary and get things like playdates, grandparent visits and free events booked in quick.You don’t want to miss out on free fun because everyone and everything is already booked up. 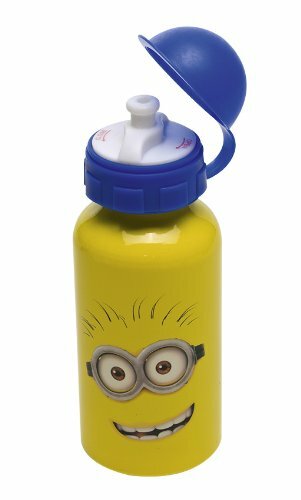 Take water bottles out with you everywhere. Stock up on portable snacks that you can take out and about. They are so much cheaper from the supermarket than from cafes/local shops when out. Get yourself a local bus table and plan some adventures leaving the car behind and visiting pastures new. Find out about family bus tickets and work out the value for you. Check netmums for your local area to see what’s going on locally as events often list there. Also check your local council who will list free summer children and families activities too. Visit your local library every week and follow their summer reading scheme. It is great to keep the kids reading up during the summer and books can provide hours of free entertainment. Explore all your local parks and ring in the changes by taking scooters one day, bikes the next. Create a boredom jar and fill it with free and thrifty ideas like these. So when your kid think they NEED you to spend money on them there are many more options to hand just direct them to the boredom jar! Set up an obstacle course in your garden using chairs, odd bits of wood, a few plant pits to dribble a ball around perhaps a slide or a plastic bowl to balance on their heads. A bit of prep for hours of free fun. Go fruit picking then cook up a storm! Meal plan, meal plan, meal plan! Have playdates organised (best source for free entertainment ever! Create the kids some new fancy dress clothes by raiding your wardrobe or a charity shop…just as much fun as shop bought! 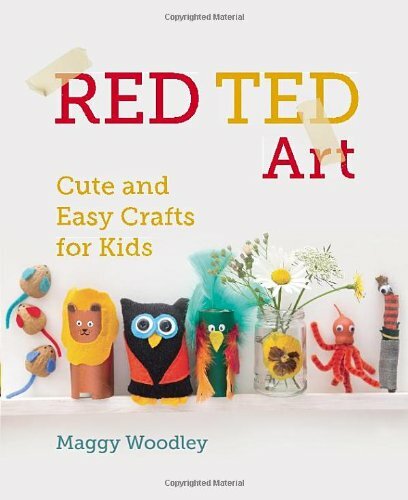 Borrow or invest in a book filled with craft ideas to keep you inspiration high! This one by Red Ted Art is just great. Stock up you craft box from your recycling box (tp rolls, milk cartons, egg boxes, etc.) Cardboard box crafts are great fun so make sure you save them too! Invest in paper and felt tips crayons and paints glue, sticky tape and a store a big old shirt and some old pots for water …..arts and crafts bring hours of fun. Balls are just great fun for playing catch or sevensies, rounders cricket footie or tennis and will keep kids occupied for ages a tennis ball and a cheap footie are a great investment. Skipping ropes too are a good buy endless fun for about £1! Pavement chalk costs about £2 and can bring hours of fun. Paddling pools too are brilliant for a sunny day, floating paper boats, splashing, washing dollies or jumping into it. ASK! Your best budgeting resource is always other people ask them for tips and ideas…what are they doing that’s free and fun this summer. Encourage your children to keep a gratitude journal of their summer holidays that they fill in the evening with the good things from their day. It may be a drawing, a cinema ticket stub, a flower they gathered or a photo you have printed of. Just a little text with it (written by you or them) to capture them memory. This encourages gratitude and positivity and reflection and YOU will see their best things are often free. See my gratitude journal vlog for more ideas. Children never get bored of games. So have a whizz round your local charity shops and purchase a few board games to introduce to you kids and make time to join them in playing them. Hours of fun for just a few pound. Initiate play ideas when your children seem to be all out of them e.g. get out the play dough and suggest making pets or bring out the straws and paint and some big sheets of paper. Sometimes they need a starting point. Get cooking -from teaching your child to make their own breakfast (very handy) making sandwiches and even helping with the evening meal. Summer holidays give you the space and time to really reach your children some great culinary skills. It will also keep them well entertained and save you a job! Baking too is a lovely way to pass the time. Why not use up your overripe fruit in banana muffins or rustle up a big batch of flapjacks or decorate cupcakes it’s lots of fun for a little one is also a great thrifty option when you need lots of healthy snacks at a budget price. These make lovely inexpensive gifts too when you go visiting. Free time. Really important you don’t feel you have to entertain or amuse your kids all summer. Often creativity begins when a child has nothing to do so give them space to get lots in their own imagination and don’t always step straight in with brilliant ideas when they are bored. My son will play for hours with his plastic toys once he gets in the zone I sometimes just need to remember to give him space. Climb some trees, wade in a few streams, roll down some hills and clamber on a few rocks …..kids need a little ‘wild and free’ time and nature really is the best playground. Check out your local cinema. Yes I know cinema’s are pricey but may have brilliant holidays deals where you can watch slightly older films for just £1 a time. You can also borrow dvds from friends (and of course share yours) this way you get a summer of movie time for no cost! Fancy a little holiday but money is tight..consider camping, youth hostelling or an overnight with a friend who lives somewhere lovely. A change is a great reviver and it is always lots of fun for the kids to explore somewhere new. Have a family car boot sale, It’s so good a big old declutter and get rid of anything you no longer want or need. The kids will have great fun helping you sell the goods and you can use your earnings for summer time treats. Have an old camera at the ready and encourage your children to use it. Photography encourages children to live in the moment and be present and this is a great quality to help them feel centred and relaxed. It will inspire them to take their time and really see. They will end the summer with a whole host of memories recorded forever for the price of just some prints. I know you can have a fun time on a budget and I truly hope your summer is memory making. Oh my wont get bored with that list! Thank you for sharing. I’ve bookmarked this list for the holidays, it’s brilliant! Oh Becky you’re amazing! What a list! Great ideas. We’re spending a good portion of the holidays at home this year and I’m really looking forward to finding things to do in and around the home for little or no cost. Some brilliant ideas there Becky thank you. We are currently compiling our summer list and most of the things on there are free or low cost and it is a great list so far. You do not need to spend money to have fun. I’m going to print this out and make it as a starting point for our Summer holiday plan. Aly recently posted…I Want An Itchy Wow Wow! Fab ideas Becky – huge believer in setting a budget at the start of each week! I love this post and am seriously considering printing it and sticking it to the fridge for the duration of the summer holiday! This is our first proper school holiday and it feels like everyone round here is busy booking kids on to play camps or other activities which are very expensive. I’m determined not to break the bank this summer. That way there’s more money for the wine that I’m pretty sure I’m going to need! I’ve shared this because its fabulous! Hi Becky, I absolutely love these ideas. So much to try that there won’t be any boredom time over the hols! There are some really great ideas here – building a den is a great activity and like you say you can leave an indoor den up for days! Good point also about making sure toys are working – to a child, there’s not a lot worse then the batteries giving up so best to be organised beforehand!